England captain Harry Kane has welcomed Wayne Rooney's temporary return to the squad for the friendly against the United States and has offered to give the armband to his predecessor. DC United forward Rooney, who last appeared for England in November 2016, is being recalled for a farewell appearance at Wembley on Nov. 15, when he will win his 120th cap. Some have argued that the former Manchester United and Everton captain's one-off return will deny time to a player who could help England in the future, but Tottenham striker Kane disagreed. "I think it's great," he said. "It's a really good thing that everyone should be a part of. 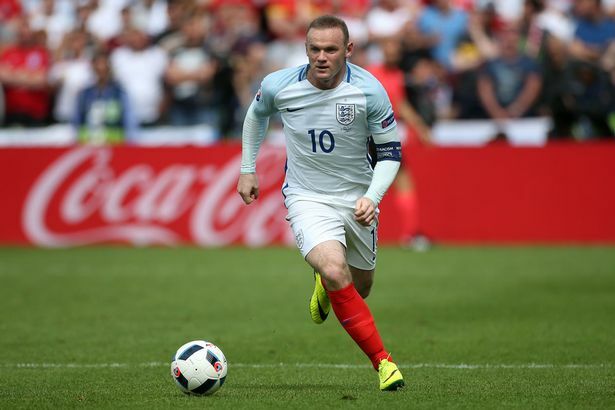 "Wayne was one of the greatest ever players to play for England, the greatest goal-scorer to play for England, so why not give him the send-off he deserves? "I've not spoken to [England manager] Gareth [Southgate] too much about how he's going to do it or how long he's going to play, but it'll be great to see him again and I'm sure he's looking forward to seeing a few of the boys. "It's a great experience to have for the younger players in our team, so I think everyone should get right behind it and it'll be a great send-off." Kane said he would be happy to hand over the captain's armband, adding: "Of course, he deserves it. He was a great captain for us -- he was captain when I got into the squad -- so if he plays of course he'll be the captain." Rooney, 33, announced his international retirement in August 2017, having initially targeted the World Cup in Russia as his finale. But after he ended his England career having made more appearances than any other outfield player, as well as eclipsing Sir Bobby Charlton's goals record, Southgate and the Football Association have agreed to give him the honour of a farewell appearance.